A day before we got Balki, we were stocking up on some nutritious food. 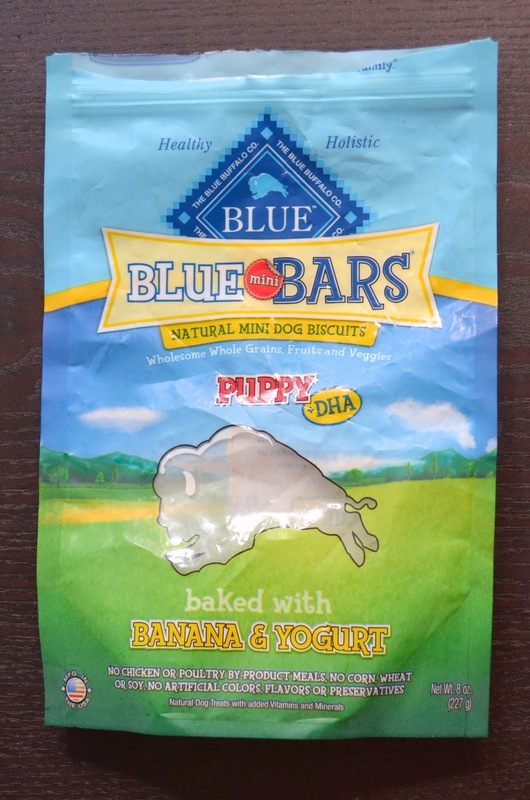 The Blue Buffalo Mini Bars for Puppies looked perfect, and we added them to the cart before heading to the register. We really liked that the mini bars had no byproduct, corn, wheat, or soy. On the downside, they looked dry enough to start a wildfire. Today, Balki had the last treat in the bag. It’s been over five months since we purchased them. It took so long to finish it, we were only a month away from the expiration date. Balki hardly touched them at all the first few months. He has to be in the mood for them and would often leave one on the floor for hours while scouring the kitchen for more delicious crumbs. We originally thought they’d make a great reward, but that simply wasn’t the case. We’ve been generally happy with the quality of Blue Buffalo’s food and treats, but we won’t be looking to purchase the Banana & Yogurt version again.